Learn Portuguese in Faro at our partner school, CIAL. Offering high quality Portuguese language teaching for over 30 years, CIAL combines flexibility, competence and friendliness. The school is situated in the heart of the city close to the marktet and makes an ideal base for your Portuguese course in Faro. Alternatively many students enjoy exploring Faro alone or with a group of fellow Portuguese students. There is so much to see and do here, the problem is being able to fit it all in! 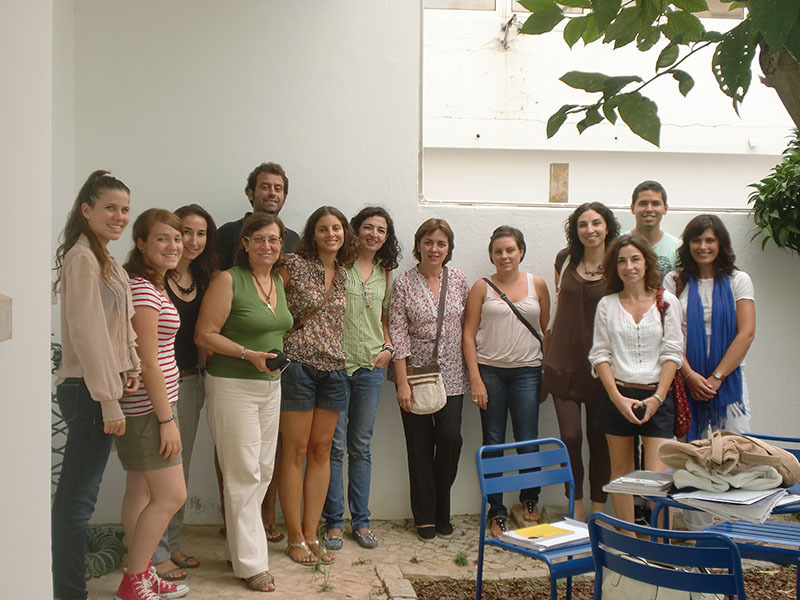 The intensive course in Faro involves 15 lessons per week (minimum course length 1 week). Personal attention is guaranteed as the classes do not have more than 8 students. You can also choose to do an intensive course of 25 lessons which consists of 3 lessons of general Portuguese tuition combined with two workshops in the afternoon per day. The workshops focus on specific topics like vocabulary, conversation, presentation, etc. A double room can only be booked by 2 people travelling together. This is the price of an airport transfer on arrival at Faro. In 2019 the school is closed on:01/01/2019, 19/04/2019, 01/05/2019, 10/06/2019, 15/08/2019, 01/11/2019, 25/12/2019. Only one to one lessons are being rescheduled. The combined Portuguese course in Faro is an intensive one (15 lessons group course) combined with 5 or 10 individual lessons with a private teacher. These extra classes are adapted to suit the student’s needs and knowledge level, and they can study something of interest or something that they are struggling with. This one-to-one Portuguese course in Faro is adapted to suit the interests and personal necessities of the student and to suit their language level. The course involves 20 or 25 lessons per week, but it is possible to do a semi-individual course (for 2 people who have the same standard of Portuguese and who are travelling together). To request more hours, a semi-individual or course or to find out more about what’s on offer please contact us. It's always very special to stay abroad during the holidays. This course offers you that opportunity. Apart from the language classes you will have enough free time to explore the city and the Portuguese culture. In the week before Easter (Semana Santa) you can see impressive processions and the streets are decorated with flowers and sheets. During this two-week course the language lessons focuss on general language and speaking skills. The classes consist of up to 12 people. With an average temperature of around 20 degrees it is a wonderful destination for a cultural and educational language vacation! Our partner school in Faro will remain open during the Christmas period. Only on December 25, the school is closed and there will be no lessons. During the two-week Christmas course, you will have 15 Portuguese lessons per week. Additionally, you have plenty of time to explore Faro and its region. If you want to experience the best Christmas atmosphere, visit one of the Christmas markets. For optimal immersion in Portuguese culture and a unique insight into the daily life of the Portuguese during the Christmas period, we advise you to stay with a host family. You can stay in a host Portuguese family in Faro in a single room with bed and breakfast. The families are carefully selected so they are 15-30 minutes from the school by public transport. You can practice your Portuguese with family members after school. Wifi is available. Bedlinen and towels are provided. Kindly bear in mind that the school has only one shared apartmet. Consequently, we strongly recommend that you book this accommodation sufficiently in advance, especially if you wish to travel in peak season.